I often find myself having to explain potential clients what it is I do as a community manager (and why it sometimes costs more than what other professionals offer). I found this great piece from the Community Roundtable this morning. 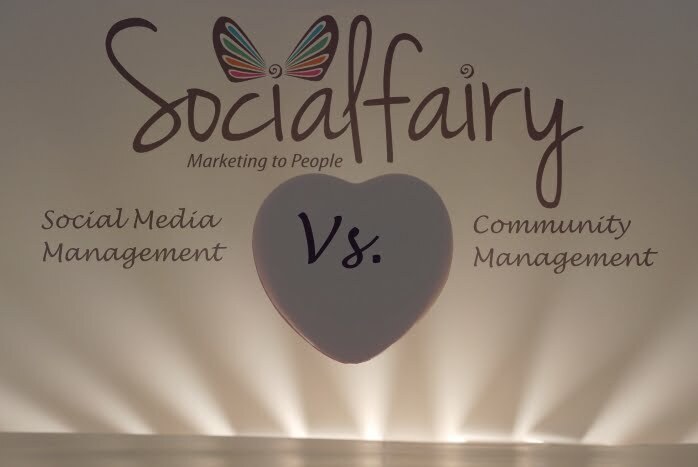 It’s not a new piece but it lays out the main difference between Social Media Management and Community Management – or at least the classic view of those roles. I’ve said it before and even given examples from my own work, and I’ve gotten “told off” by peers claiming I “do too much”, but my personal take is that in this day and age, When all of our marketing is digitized and social, when new media takes charge, there is no choice but to combine Social Media and Community Management. There’s no choice but to combine Social Media & Community Management. My way of performing community management for my own clients includes everything both the descriptions above specify – and then some. I don’t do it because I like to work my behind off, or because I desperately want an edge over other service providers. I do it, honestly, because I feel this is the only way to do things these days. So it starts with Complete marketing strategy (often not just online and even go-to-market strategy, because you cannot ignore that reaching markets these days is done almost always online in addition to, if not instead of, offline). It continues with content type lists and content plans (because there is a vast difference between a LinkedIn post, a blog post, a Facebook status and a Google+ post or a tweet), and a schedule; and it goes on to creating the community, content and communication channels (not just on social media management but sometimes on the site, blog, forums and other channels), bloggers and media outreach, writing & curating the content, sharing it to social media, promoting it and building up the communities with campaigns, and finally, managing the communities we’re building. So this is what I do. And I love doing it because I give my clients real value and a huge added bonus of being their (online) marketing extension and providing a complete solution. Next time you think of hiring an addition to your marketing team in the form of a Social Media manager, a Content Manager or a Community Manager – make sure to understand what each of them actually does, draft your job description correctly and look for the right candidates on the right channels to make sure you get the best person for the job. And yes, you can consult with me (even if you don’t become my client later – I’m truly always happy to help).